Looking for a better way to do paperless? Stop by booth 1417 to see how Access integrated eForms eliminate the efficiency, security, and patient experience gaps in any EHR. Check us out for electronic signature capture on surgical and radiology informed consents, registration packets, back office documentation, and more. Grab one of our cuddly stuffed Green Paper Monsters for the little swag lovers back home! Join Agfa HealthCare at the HIMSS18 Lunch & Learn, "The Big Picture Made Tangible: Realizing the Value of Enterprise Imaging," Wednesday, March 7, from 1– 2 pm. Agfa HealthCare Enterprise Imaging completes your EHR strategy by providing a multidisciplinary platform to improve patient care and revenue capture. Agfa HealthCare Enterprise Imaging solutions are purpose-built to help health systems aggressively pursue quality improvement and mitigate risk. The modular services empower clinicians to make informed decisions through continuity of care and value-based collaboration. Capture, share, and normalize imaging data so it can be utilized for predictive analytics and quality patient care, making images a strategic asset of the entire organization. Talk to Agfa HealthCare to solve clinical, operational, and financial challenges with a proven integrated IT platform to ensure constant monitoring, hardened security, and simplified upgrading. Stop by booth 3610 at HIMSS and find out why Aprima has been named the 2018 Best in KLAS in the Small Practice Ambulatory EMR/PM Category (1-10 physicians). Aprima serves physicians in primary care and more than 70 specialties with a fast, flexible design that adapts automatically to a physician’s workflow and sets the benchmark for ease-of-use, speed, and flexibility. You’re also invited to a Surescripts Panel Discussion, Aprima’s Happy Hour, and a Precision Medicine + Genomics round table. Join us at the Surescripts booth, 632, on Tuesday, March 6 at 11 am as Aprima COO Neil Simon participates in the Surescripts Prescription Price Transparency: Not Just a Pipe Dream panel discussion, which will address issues like the challenges prescribers face when making medication decisions for patients. Networking reception to follow. Please join Panasonic in helping us celebrate Aprima’s 2018 Best in KLAS EHR/PM win in the Small Practice Ambulatory EMR/PM Category (1-10 Physicians)! during a reception at our booth from 4-6pm on Tuesday, March 6. On Wednesday, March 7 from 5-6 pm, Aprima will host a Precision Medicine Roundtable with Andrew Ury, MD of ActX, which focuses on actionable genomics – evidence-based genetic risks that you can do something about. Aprima is one of the few EHRs providing innovative EHR, PM, population health, and RCM solutions under one roof and with a 20-year track record of success. To set up an appointment, or to let us know you’ll be stopping by, please click here. Once again, Arcadia and HIStalk are jointly giving away "conference survival kits," which include Band-Aids, pain relievers, breath mints, and other necessities for getting through a conference as large as HIMSS! Other highlights at booth 4221: Our Data Gallery will premiere our latest 2018 data visualizations. HIT thought leader and CIO John Halamka, MD will do a Q&A on digital health March 7 from 11– 12 pm. Cocktail receptions at 4:30 pm each afternoon; come meet our clients. Check out our full schedule of event,s including our client speakers. AssessURhealth is an electronic screening tool used for identifying varying mental and behavioral health risks in depression, opioid risk, alcohol misuse, anxiety, somatic symptoms, and more. AUH provides mission-critical data to providers in order for them to create comprehensive cares plans and help save lives – all while generating ROI to multiple verticals and without bogging down their resources. Join us at HIMSS18 Tuesday, March 6 through Thursday, March 8 for a chance to learn how to increase your ROI through innovative patient screening technology. AUH’s hosted events will feature daily coffee talks with product demos and daily happy hours with industry leader speaking series. To arrange a meeting during the show, call or text 727.463.7806. Black Book will present at the Investment Banking & Venture Capital Breakfast Tuesday morning before the exhibit hall opens. Black Book awards will also be distributed Tuesday. Download our IOS or Android Survey Apps during HIMSS18 and complete a vendor evaluation to be in the running for 10 Amazon gift cards valued at $50. To arrange a meeting on the show floor, contact Matt Hawkins. Boston Software Systems revolutionizes how healthcare works by providing error-free automation for any application, enabling successful EHR migration, streamlined business processes, and improved productivity. Our products are the most sophisticated automation platforms available, giving customers peace of mind that critical data is 100-percent error free. We have the best reputation for ease of use and customer support helping organizations bridge the gap between technologies. Join Cantata Health at HIMSS! If you’re tired of forcing big EHRs and billing systems to fit your organization, join us at booth 1621 and take a look at something just for you – billing and RCM products that get you paid more and faster, and a certified EHR that is cost-effective and easy to use. Looking for more reasons to visit Cantata? Enjoy our entertainment featuring the fascinating skills of mentalist Bob Garner and enter to win a Bose speaker in our daily drawing! Come by our booth for details. Sign up for a free RCM Health Check, learn more about our products by participating in free software demonstrations, and explore our other exciting activities! To arrange a meeting at the show, contact Careport@careporthealth.com. CarePort Health, an Allscripts company and part of the next-generation care management solution, improves post-acute outcomes by providing solutions to guide patients to high-quality providers upon discharge and to track patients – and results – in real-time across the continuum. The end-to-end platform bridges acute and post-acute EHRs, providing visibility into the care that patients receive across post-acute settings so that all providers can efficiently and effectively coordinate patient care. Founder and CEO Lissy Hu, MD will participate in a #healthITchicks panel at HIMSS focusing on how women can forge their own career paths on Tuesday, March 6 from 2-2:45 pm at the HIMSS Spot. CareSync, founded in 2011, is the leader in chronic care management, serving over 1,000 healthcare providers at more than 300 locations that span the United States. We’re successful because we partner with our clients, following their preferences and protocols to deliver exceptional care coordination services to their patients on their behalf. The CareSync platform includes industry-leading technology and clinical support, enhanced by our proven patient and caregiver engagement tools and workflows such as our Remote Enrollment Program, educational onboarding tools, personalized member cards, pharmacy discount cards, and more. Patients benefit from 24/7/365 phone and online access to CareSync Health Assistants who can answer healthcare questions, provide clinical support, and help eliminate barriers to patient care, such as finding transportation to appointments, identifying special programs like smoking cessation classes, or locating discounts for prescribed medications. The scope of care coordination services offered by CareSync is broad with a goal to not just meet Medicare’s requirements, but exceed them. And the combination of our technology, integrations, services, patient engagement tools, and partnerships, all wrapped in a HITRUST-, Drummond-certified, secure framework, position CareSync to remain the leader in care coordination services for the foreseeable future. To learn more, visit www.caresync.com. To arrange a meeting at the show, contact Kelli Bravo. Casenet is a leading provider of population health solutions. Casenet gives healthcare organizations around the world a single, comprehensive experience with their members so they can effectively coordinate the delivery of care to individuals and populations at appropriate costs. Casenet aligns data and resources, so you can manage care with confidence. As a result, you can improve the delivery and quality of healthcare for everyone. Contact Kelli Bravo at HIMSS to learn more about how Casenet can help your organization. Meet healthcare’s leading location services experts and schedule a live demo of the latest RTLS and environmental monitoring technologies. To arrange a meeting during the show, contact Gregg Mohrmann. The Chartis Group provides comprehensive advisory services and analytics to the healthcare industry. With an unparalleled depth of expertise in strategic planning, performance excellence, informatics and technology, and health analytics, Chartis helps leading academic medical centers, integrated delivery networks, children’s hospitals and healthcare service organizations achieve transformative results. Chartis has offices in Boston, Chicago, New York, Minneapolis, and San Francisco. For more information, visit www.chartis.com. Chartis has been privileged to work with over two-thirds of the academic medical centers on the US News & World Report “Honor Roll of Best Hospitals,” seven of the 10 largest integrated healthcare systems, four of the five largest not-for-profit health systems, nine of the top 10 children’s hospitals, emerging and leading ACOs, hundreds of community-based health systems, and leading organizations in healthcare services. Founded in 2007 by a team of healthcare and software professionals, Clinical Architecture is the leading provider of innovative healthcare IT solutions focused on the quality and usability of clinical information. Our healthcare data quality solutions comprehensively address industry gaps in content logistics, master data management, reference data management, data aggregation, clinical decision support, and text analytics. CloudWave builds multi-cloud solutions for healthcare with on-premises private cloud infrastructure, managed cloud services in our OpSus Healthcare Cloud, and public cloud services like Office 365 and Microsoft Azure. CloudWave’s focused portfolio of OpSus Healthcare Cloud services include hosting, disaster recovery, systems management, security, backup, and archiving services. CloudWave architects healthcare IT solutions with the goal of helping hospitals achieve operational sustainability. Visit us in booth 1060 to enjoy a cup of coffee and learn more about how our OpSus Healthcare Cloud can help you achieve your IT goals. Visit us at booth 1117 to learn about all the new additions to our Prescriber Inform and ScriptGuide @EHR product lines, including prescriber support in the e-prescribing and immunization modules, and patient information delivered in the prescriber’s office, via SMS/MMS and patient portal. Get an interactive tour of ConnectiveRx, our extensive network, and our new capabilities! Learn more at ConnectiveRx.com, and follow us on LinkedIn, Facebook, Twitter, and Google+. To arrange a meeting at the show, contact Kate Mays. To arrange a meeting at the show with Rob Culbert, Brad Boyd, Jim Murray, Michael Cleary, Wayne Thompson or Joel Szymanski, contact himss2018@culberthealth.com. Culbert provides healthcare providers and vendors with unique and integrated solutions in the areas of management consulting, clinical operations advisory, and IT advisory. Winners will be walking the exhibit floor in style and powered up for a full day of learning courtesy of Datica. Visit booth 5077 to enter hourly drawings for Yeti limited edition Rambler Lowballs! You can also sip a can of Nitro Cold Brew coffee while you have your HIPAA compliance and security platform discussion. Discover how the HITRUST CSF-certified Datica Platform manages all ongoing compliance and security burdens not covered by AWS and Microsoft Azure. Stop by and learn how you can deploy cloud-native applications and integrate with EHRs. Schedule your HIMSS18 appointment with the Datica team here. Definitive Healthcare is the leading provider of data and intelligence on hospitals, physicians, and other healthcare providers. The product suite provides the most comprehensive and highest quality data, updated in real time. This data provides clients with the analytics and insight needed to effectively segment and research the healthcare market. Diameter Health enables clinical insight through the normalization, cleansing, de-duplication, and enrichment of clinical data from across the care continuum. This creates a single, unified source of longitudinal structured patient information for improved care and actionable analytics. For more information, visit www.diameterhealth.com. Stop by kiosk 39 in the Interoperability Showcase to learn more about Diameter Health’s new solutions and pick up a mobile phone wallet. At Dimensional Insight, we specialize in developing powerful business intelligence software solutions. Our mission is to make organizational business analytics accessible and usable, so everyone from analysts to line-of-business users can get the information they need to make informed, data-driven decisions with the Diver Platform. Dimensional Insight has been recognized as a five-time “Best-in-KLAS” Winner for Business Intelligence/Analytics. Why should you stop by our booth? Learn more about our product offerings and enter a raffle! We will also be giving out playing cards. To arrange a meeting during the show, contact Ranae Rousse. Direct Consulting Associates is the relationship-focused executive search and contract staffing firm that assists top-tier organizations with recruiting and acquiring high-impact HIT talent for mission-critical technology initiatives. We are constantly in contact with hiring managers, candidates, and opportunities across the healthcare IT space. To arrange a meeting during the show, contact Bailee Walker. Docent Health’s mission is to help health systems build and retain lasting patient relationships. We combine best practices from other industries to help health systems deliver the vision of customer-centric care by combining cutting-edge consumer technology, retail-based strategic marketing, and hospitality-inspired service excellence with deep provider experience to increase customer lifetime value and grow market share. For more information or to schedule a demo, please visit our website: www.docenthealth.com. Visit booth 145 to see how EClinicalWorks combines innovation and technology to produce products and services that are helping transform healthcare IT, from the smallest independent practices to large hospital systems. See our latest developments, including V11, the latest version of our cloud-based ambulatory EHR, featuring thousands of improvements; Eva, the EClinicalWorks virtual assistant, a first in the EHR industry; how free interoperability through CommonWell and Carequality is developing a truly connected office; and our acute care EHR, a complete cloud-based solution for the needs of hospitals and healthcare systems, creating unified medical records across care communities and offering the advantages of a fixed, per-bed pricing model. Providers now have the ability to receive patient baseline genomic data in the EHR, along with alerts and updates to help guide more effective clinical decisions. The EClinicalWorks Open Interoperability (EOI) development platform supports third-party, patient-facing apps through FHIR. Also stop by to see the latest in telemedicine, including enhancements to TeleVisits and our new Healow Virtual Room, which allows remote specialists to join in a traditional office visit. And payers won’t want to miss Healow Insights, an innovative, cloud-based solution with service offerings designed to automate the bidirectional exchange of actionable data between health plans and providers. Through on-demand medical record retrieval, EHR data aggregation, and point-of-care alerts, health plans may reduce overhead costs, improve compliance, and boost ratings on key quality measures. As a nationwide leader in healthcare connectivity, Ellkay has been committed to enabling interoperability for more than a decade. With connectivity to over 45,000 practices across over 600 EHR/PM systems, Ellkay builds the data pipeline for hospitals, health systems, EHR/PM systems, laboratories, payers, HIEs, ACOs, and other healthcare organizations. Specializing in extracting and converting clinical data from virtually any source EHR system, we are the healthcare industry’s "Data Plumbers." Visit us at HIMSS booth 7823 to learn more about how Ellkay is making interoperability happen with three innovative new solutions. LKClinicalDataExchange is a powerful data exchange platform that empowers hospitals, clinics, laboratories, payers, population health companies, and other healthcare organizations with real-time patient information. LKeMPI maintains consistent and accurate patient demographic data across multiple systems, assigning a unique identifier that links patients’ disparate records at an organizational level. LKTransferMonitoring enables you to track and monitor every interface with the Advanced Monitoring Dashboard, which allows users to monitor each interface endpoint connection. To learn more, visit www.ELLKAY.com, call 201.791.0606, or email himss@ellkay.com. Elsevier, a global information analytics business, leads the way in advancing science, technology, and health. We empower healthcare professionals and patients by integrating world-class, evidence-based content into the EHR and clinical workflow at the point of care. With a strong 135-year history of delivering trusted clinical information to providers, our solutions are used by the top hospitals in the US and over 20 million healthcare professionals worldwide. We combine our unique content with technology to turn information into actionable knowledge to help healthcare professionals and patients make better decisions, leading to improved outcomes and more cost-effective care. Our solutions support reference and decision support, patient engagement, order sets and care plans, clinical pathways, learning and competency management, and professional practice services. In 2017, Emids technologies acquired Encore Health Resources. Emids+Encore is a global provider of healthcare technology expertise and consulting services and solutions that serve both payer and provider organizations. Headquartered in Nashville, Emids helps bridge the critical gaps in accessible, affordable, high-quality healthcare by providing advisory consulting services, custom application development, and data solutions. Services include EHR application deployment and management, analytics, data integration and governance, software development and testing, and business intelligence. This year at HIMSS, we are showing our CoreSuite software product, which lets you calculate regulatory measures across EHRs. We also have a group of CXOs participating in a CXO Challenge to log the most steps during HIMSS. The winner receives a $5,000 donation to his/her charity of choice, and HIMSS receives a $5,000 donation to their scholarship fund in the winner’s name. To arrange a meeting at the show, contact Brian Malone. Engage provides complete IT solutions for your hospital. As a Meditech collaborative solutions provider and Ready-Certified partner, Engage can help you achieve the best EHR possible, and provide you with the peace of mind and freedom you need to focus on the business of providing the best care for your patients. Visit us at www.thinkengage.com. We will feature two solutions in our booth that address operational costs and drive ROI from your EHR. Automated Prior Authorization eliminates the pain of prior authorization and cuts operating costs by 50 percent in one simple EHR-integrated solution. The solution streamlines workflows and eliminates manual and disconnected processes, speeding provision of pre-approvals for medical benefits. It leverages EviCore’s integrations with over 100 payers and advanced Qpid technology for analysis of clinical information to inform and automate the review process. The Chronic Care Management Optimizer makes it easy to track and bill for non face-to-face services that are eligible for reimbursement by CMS under the CCM program. Many organizations are leavings millions of dollars on the table, but with CCM Optimizer, you get reimbursed appropriately, and fund provision of more services for chronically ill patients. Is your system prepared for a value-based and technology-driven patient care approach? Stop by booth 7329 and let Experian Health demonstrate how our solutions can prepare your facility for a more holistic approach to patient care. Schedule a time to talk with an Experian Health representative and you will be entered to win a $350 American Express Gift Card. Conference activities include coffee and conversation with Sharlene Seidman from Yale New Haven Health on March 6 from 9:45 – 11 am. Sharlene will answer questions about her presentation at HIMSS, and how Yale New Haven Health implemented a patient engagement strategy that went beyond patient self-service tools and focused on empowering staff to be efficient and consistent in their interactions with patients. Join us for a session entitled “How to Create A World-Class Financial Service Center” on March 7 from 4:40 pm – 6pm in Palazzo B (ID 91). FDB is the leading provider of drug and medical device knowledge that helps healthcare professionals make precise decisions. With thousands of customers worldwide, FDB enables our information system developer partners to deliver valuable, useful, and differentiated solutions. We offer more than three decades of experience in transforming medical knowledge into actionable, targeted, and effective solutions that help improve patient safety, operational efficiency, and healthcare outcomes. Product Launch: Patient-specific/targeted medication warnings decision support. Product Launch: Opioid risk management decision support. Product Launch: Specialty pharmacy decision support. Product Technology: Meducation (simplified medication instructions) implementation through Epic, Meditech, Cerner, Allscripts, and other HIS vendors. Presentation: Customer Case Study Session (ID IH26) –Improving Medication Adherence at Dignity Health, Terri Wilson, director of EHR enterprise standards; Tiffany Shields Tettamanti, clinical architect, Dignity Health. Presentation: Customer Case Study Session (ID 298) – Zeroing in on the Patient to Reduce Alert Fatigue, Charlie Hart, pharmacy informatics, MercyHealth. Presentation: Customer Case Study Session (ID 207) – Point-of-Care Display of Relative Cost Information, Gregory Hall, inpatient CMIO, New Hanover Regional Medical Center. Serving coffee in the booth! To arrange a meeting at the show, contact Michael Lovett. Formativ Health is a tech-enabled health services company dedicated to helping hospitals and health systems improve the patient experience. We will have a meeting room at HIMSS18. If you’d like to schedule a meeting, please reach out to Chief Commercial Officer Michael Lovett. In addition to our meeting room, we’ll be demoing the new Patient Engagement Center solution we’re releasing in conjunction with Salesforce. Those demos will be happening Tuesday at 5:30 pm and Wednesday at 1pm. Reach out to Michael Lovett for more information. We encourage you to “Rethink Forms” this year at HIMSS18 as we showcase our latest industry-leading electronic forms, workflow, and eSignature technology for healthcare at booth 4825. With the spotlight on our eConsent solution, play our Sign & Win game where you will see FormFast’s mobile eConsent solution in action while getting a chance to win a trip to Europe! Featuring our new mobile app, guided forms view, dynamic pre-fill, patient wristband scanning, and other new capabilities – we invite you to see how we’re reinventing healthcare forms for the modern era. Come visit Fortified Health Security at booth 3632 or in the Cybersecurity Pavilion (Veronese Ballroom) 8500-33. We are a cybersecurity firm exclusively focused on healthcare, and that means that we understand the value of your data, the regulatory pressures you face, and the need to make it all work within a budget. With Fortified, you have a dedicated force keeping you ahead of the threats and the regulations. We look forward to meeting you and finding out how we can assist you to increase your security posture. Our services include connected medical device and IoT security program, HIPAA risk analysis, virtual info security program, security information and event management, penetration testing, data loss prevention, business associate lifecycle management, HITRUST assessment, and security point solutions. Presentations include “Challenges in Securing Connected Medical Devices” (ID CS11) on Tuesday, March 6 at 3 pm in the Cybersecurity Pavilion Veronese Ballroom 8500; and “Avoid the Threat of Ransomware” (Fortified Health Security & CloudWave joint presentation) on Tuesday, March 6 at 11:30 am, Wednesday, March 7 at 2 pm, and Thursday, March 8 at 11:30 am in CloudWave’s booth, 1060. Top-rated for clinician engagement in the KLAS 2017 Population Health Management report, Forward Health Group drives clinical, financial, and network performance in the shift to value. See us in booth 127. Go directly to booth 127 if any of these problems apply to you – how to use claims data to support CINs and better manage high risk populations, network performance strategies for high risk populations, why getting attribution right is critical for managing high risk populations, and management of high risk populations in Medicare Advantage. See you at HIMSS18! To arrange a meeting at the show, contact Leah Bruch. GetWellNetwork is the Precision Engagement healthcare company. Our solutions engage patients and families, empower clinicians, and deliver outcomes that matter. From inpatient to outpatient, to physician practices and urgent care clinics, to patients on the go, GetWellNetwork offers the only cross-continuum platform that performs across every care setting. Contact us to arrange a demonstration of our SaaS solution for inpatient and outpatient diabetes therapy management. Glucose control is a fundamental tenet of high-reliability care, yet variation is pervasive and systemization is sorely lacking. Not unlike blood pressure, temperature, and other vital signs, when a patient’s blood glucose levels are outside the normal range, safety risks escalate and incidence of complications and sentinel events increase dramatically. The bottom line – greater resource utilization, prolonged lengths of stay, and higher 30-day readmission rates. Glytec’s SaaS eGlycemic Management System coupled with our clinical change management services help you achieve best practices in glucose control across the entire continuum – all settings and transitions of care – creating the standardization, personalization, and workflow efficiencies that drive costs down and ensure your clinical teams are equipped to provide the very best care to your patients. HBI Solutions gives organizations the power to predict and the power to act. We deliver actionable information that helps healthcare organizations identify population, quality, and cost risks to improve patient health and lower costs. Come by and see how we are tackling some of healthcare’s biggest challenges, like suicide and opioid abuse, using place-based risk and social determinants of health with next-generation predictive analytics and risk management solutions. Eric Widen, co-founder and CEO, will present "Social Determinants of Health: The Impact on Patient Risk" in the Population Health Solutions Lab Theater on Wednesday, March 7 at 3:30 pm. Visit us in the InterSystems booth, 4444, on Tuesday, March 6 from 1-4 pm. Widen will present, "Predicting Suicide and Opioid Abuse Using Clinical & Social Determinant Data" at 1 pm. And on Thursday, March 8 from 10- 11 am, Laura Kanov, SVP of product strategy, along with Theo Siagain, director of HIE and interoperability at Providence St. Joseph Health, and Matt Simon, director of connected health at Himformatics, will present "Leveraging the Connected Health Record for Clinically Integrated Network (CIN) Performance Improvement." Click here to schedule a time to meet. We are committed to improving healthcare globally through a combination of disruptive innovation and cost reduction. Meet with us to discuss any of the following = IT managed services, integration and interoperability (demos available), cybersecurity and compliance (demos available), advisory services/EMRAM consulting, EHR implementation, EHR training and go-live, EHR extension/community connect, revenue cycle and optimization, sustaining support/service desk, population health, automation, and artificial intelligence. To arrange a meeting at the show, contact Rob Barella. HCTec is a leading provider of healthcare workforce solutions across the full range of clinical and business applications including ERP, technical services, and revenue cycle initiatives to some of the largest healthcare networks in the US. HCTec provides the highly qualified, on-demand human capital, strategy, and innovative tools that hospitals need to thrive in an evolving landscape geared to support better patient outcomes. Based in Brentwood, TN, HCTec is privately owned and operated by healthcare industry leaders and technology veterans. HCTec is hosting two exciting receptions at HIMSS18 on the evening of Tuesday, March 6. Email Rob Borella at rborella@hctec.com to register. March 6 from 6-8 pm at Gilley’s Saloon Las Vegas, Treasure Island 3300 S Las Vegas Blvd, Las Vegas, NV 89109. March 6 from 7-9 pm at Sushisamba Las Vegas, The Palazzo 3327 S Las Vegas Blvd, Las Vegas, NV 89109. Come have a cup of coffee with us at booth 1332 and learn more about DOS, a new data-first analytics and application platform. Click here to schedule a personalized demo with one of our solution experts. Healthcare Growth Partners is an exceptionally experienced investment bank and strategic advisor exclusively focused on the transformational health IT market. We unlock value for our clients through our Sell-Side Advisory, Buy-Side Advisory, Capital Advisory, and Pre-Transaction Growth Strategy services, functioning as the exclusive investment banking advisor to over 100 health IT transactions representing over $2 billion in value since 2007. Ranked #1 Single Sign-On by KLAS Research for both 2017 and 2018, HealthCast’s Identity and Access Management solutions are designed to increase clinician productivity, strengthen security, and help organizations meet HIPAA regulations. Our solutions include award-winning SSO, fast proximity badge access to VDI, Secure Patient Identification, DEA-compliant EPCS, and SSO Auditing. To schedule a meeting or request a demo, please contact Mike O’Marra at momarra@gohealthcast.com or visit us at booth 10128. HealthCast will give away 500 free licenses for its award-winning single sign-on, eXactACCESS, to one lucky company during HIMSS18. Register at booth 10128, downstairs, for your chance to win. Healthfinch’s practice automation platform, Charlie, leverages EHR data to automate, delegate, and simplify routine, repeatable tasks like prescription refill requests and visit planning. Used by major health systems across the country, it improves workflows and enables providers to work top-of-license by reducing their inbox volume. Learn more at healthfinch.com. Join us for a Healthfinch happy hour at our booth, 12629, on Wednesday, March 7 from 4-6 pm. Meet the team, enjoy some refreshments, and take home a plush Charlie! Listen to Healthfinch CEO Jonathan Baran give a fireside chat about Healthfinch being an Innovation Award recipient at the Athenahealth booth on March 7 at 3 pm. Email sales@healthfinch.com to set up a dedicated time to meet our team and view a demo while at HIMSS. Healthgrades is the leading digital healthcare brand connecting consumers, physicians, and hospitals to make the right data-driven care decisions. We provide health marketing and technology solutions that enable customer acquisition, patient engagement, and lifetime value. Learn more about our solutions at www.healthgrades.com/hospitals. HealthLoop’s software solution enables care teams to engage all patients before and after admission through automated daily check-ins. By sending the right information at the right time, HealthLoop identifies those patients that need help in real-time, allowing care teams to reach more patients and proactively intervene before costs and complications escalate. HealthLoop facilitates over 70,000 non-face-to-face visits every month. To learn more, please visit www.healthloop.com. Since 1975, our singular mission has been to help people make better health decisions. The Healthwise mission, combined with our innovative spirit, leads to patient education, technology, and services that power patient relationships. From point of care to coordinating patients beyond the clinical setting, Healthwise easily embeds within existing workflows to deliver enterprise-wide solutions. Patients access relevant education wherever they are, on any device. Booth 7505 is going to be entertaining as well as educational, with Chef Anton — the two-time National Pool Trick-Shot Champion and star on Penn & Teller’s "Fool Us" — lining up one amazing shot after another, and giving out Visa gift cards after each show. Make sure to attend our Lightning Session, "Interoperability within the EHR Workflow," Wednesday, March 7 at 10 am in Hall G.
Imprivata, the healthcare IT security company, provides healthcare organizations globally with a security and identity platform that delivers authentication management, fast access to patient information, secure communications, and positive patient identification. Imprivata enables care providers to securely and efficiently access, communicate, and transact patient health information to address critical compliance and security challenges while improving productivity and the patient experience. Meet with Imprivata at HIMSS and learn more about positive patient identification, governance, risk-management and compliance, single sign-on and virtual desktop access, secure communications, multifactor authentication for EPCS and other clinical workflows, and medical device authentication management. Book your meeting before the end of February and you’ll be eligible to win luxury accommodations during your HIMSS stay. Don’t wait – book your meeting now! InstaMed is healthcare’s most trusted payments network, connecting providers, payers, and consumers on one platform. HIMSS conferences can get a little crazy. They don’t call it HIMSSanity for nothing! Take a break from it all with InstaMed. On Wednesday, March 7 at 4 pm, don’t forget to catch Anthem’s Dave Krause present "Create a Frictionless Healthcare Payments Experience." In the session, Dave will discuss how Anthem is working with InstaMed to make healthcare payments better for everyone. Stop by booth 5062 all week to speak with our industry experts about opportunities to improve your healthcare payments experience. Plus, we’ll have treats from our hometown of Philadelphia, including warm, soft pretzels and Tastykakes! 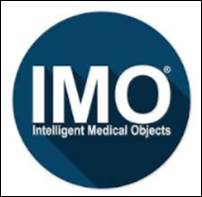 IMO is the developer of the most widely-accepted medical terminology solution for the management of medical vocabularies and software applications at healthcare organizations worldwide. IMO terminology is used by more than 3,800 hospitals and 500,000 physicians daily, and this trusted terminology platform supports innovations by provider systems. IMO medical vocabulary and mapping products effectively capture clinical intent and help EHRs preserve and communicate this across the entire spectrum of care. IMO clinical terms are mapped to all standard coding systems including ICD-9, ICD-10, and SNOMED. The accuracy of IMO’s interface terminology was found to be “nearly perfect” in an independent study published by the CDC. Visit us at HIMSS18 to see how our new IMO 2.0 platform provides terminology solutions for a wide range of enterprise needs, leading to better healthcare delivery. Our terminology services are the foundational platform for analytics, clinical documentation and problem list management, clinical decisions support, RCM, machine learning and AI, patient care management, and population health management. Stop by booth 1821 on Tuesday and Wednesday after 4 pm to enjoy a glass of wine and receive a cool wine tumbler, while they last. Listen to our Lightning Round Sessions on Tuesday at 3 pm and Wednesday at 3:30pm in Hall G, booth 9947 and receive an insulated metal water bottle, while supplies last. Take a short survey in the booth to get an IMO performance T-shirt, while they last. Learn more at www.e-imo.com. Ivenix is a medical technology company with a vision to eliminate infusion-related patient harm. Ivenix designed an infusion system from the ground up to streamline medication delivery and bring legacy technology into the digital age. The Ivenix Infusion System includes a large volume infusion pump supported by a robust infusion management system designed to set new standards in usability, medication precision, and interoperability. The Ivenix Infusion System is currently under 510(k) review by the FDA. See Ivenix’s system at the Interoperability Showcase as part of the Transplant Care Use Case, and in the Discovery Center for a hands-on demonstration Wednesday, March 7, from 10:30 am – 1:30 pm. Kyruus delivers proven provider search and scheduling solutions that help hospitals and health systems match patients with the providers best suited to care for them. The ProviderMatch suite of solutions — for consumers, access centers, and referral networks — enables a consistent patient experience across multiple points of access, while aligning provider supply with patient demand. The company’s proprietary provider data management platform forms the foundation of its solutions, powering them with accurate data by coupling data processing with administrative applications. To find out why a Better Match Means Better Care, please visit www.kyruus.com or come see us in booth 12128 at HIMSS! We’ll be demoing our solutions in the booth and handing out our custom Kyruus socks! Running old applications just to get to the data? Stop – we need to talk! For organizations retiring or replacing healthcare systems, Legacy Data Access offers the industry’s most comprehensive set of software tools and solutions for working with data from retired systems. Our LegacySuite products provide comprehensive functionality for the storage, access, management, and reporting of the retired healthcare data. No time-consuming, labor intensive, and risk-filled data conversions are required. The data is seamlessly accessible in its original format, with no loss of detail or integrity. Please visit us to discuss how we have successfully retired 249 different healthcare applications – a total of 621 applications. Giveaways include key chains, tote bags, and the best dark chocolate in the exhibit hall. Drop a card for a chance to win a Fitbit Ionic or one of two Amazon Echoes. Visit Liaison Technologies at booth 2270 to learn about achieving true interoperability, collaboration, and insights. Liaison’s Alloy platform for healthcare provides intelligent integration, simplified data management, and continuous compliance enabling health systems to break down data silos and exchange data when and where needed. Pick up our “7 Steps for the Interoperability Journey” data sheet, join us for a cookie break, grab our 2018 badge ribbons (always fun), and enter to win Apple AirPods. LifeImage is putting the spotlight on interoperability at HIMSS18. We are hosting a series of in-booth sessions on how we are helping the industry mature and move beyond access to data to the real stuff that matters – better care coordination, patient engagement, better (and faster) informed decision-making, and accelerating innovation. Learn more and register for sessions here. We’ll also host a drawing for a Google Home. Lightbeam Health Solutions delivers a revolutionary model for managing patient populations and associated risk. Lightbeam’s vision is to bring health data into the light through the use of analytics and to provide the insight and capabilities healthcare clients need to ensure patients receive the right care at the right time. Lightbeam’s platform facilitates end-to-end population health management for ACOs, payers, provider groups, health systems, and other healthcare organizations aspiring to provide superior care at a lower cost. Our solutions help you move the needle on admissions, readmissions, number of preventative visits, care gaps, cost of drug utilization, and total cost of care to name a few areas. Case studies can be found here. We have helped MSSP ACO clients generate more than $300 million in savings while achieving an average quality score of 99 percent in the most recent year. LogicStream Health software is trusted by high-performing healthcare systems across the United States. Our clinical process improvement and control software platform is the first and only technology capable of helping clinicians gain highly actionable, instant insights into improving vital clinical processes, and automating and achieving better control over the care they deliver to patients. Visit us at HIMSS18, booth 1473, to learn how our customers have improved outcomes and increased clinician satisfaction by eliminating 12M annual alert firings, reducing C. diff rates by 50 percent, saving $4M on high-cost medications per year, and increasing VTE protocol compliance by 95 percent. Our software is rapidly implemented and easily adopted by clinicians, informaticists, and executives striving to improve, automate, and better control vital clinical processes. Our mission is clear – helping clinicians improve and better control the care they deliver to every patient, every day. HIMSS18 attendees who come see a demonstration will be entered in a drawing for an iPhone X. We’ll have on display our clinical process modules targeting some of healthcare’s highest priorities, including sepsis, VTE, CAUTI, medication utilization, and C. diff. Contact Nicole Nash (nicole@logic-stream.net) to schedule your demo today! To arrange a meeting at the show, contact CEO Neil Smiley (nsmiley@loopbackanalytics.com). Loopback Analytics provides a cloud-based platform that enables health systems to proactively identify at-risk populations, match patients to appropriate services, and evaluate the impact of interventions on outcomes. The platform allows provider organizations to selectively and securely share data with network partners across care settings to coordinate care beyond the walls of their owned facilities, while protecting data that should not be shared. Real-time data analytics monitor patients as they move across the care continuum, and predictive analytics flag patients of rising risk for early intervention. Data collected from patient engagement loops back into machine learning models to provide timely visibility into what is working and what is not, to enable continuous improvement. Areas of significant focus include specialty pharmacy, behavioral health, and bundled payments. Better revenues, lower costs, higher patient satisfaction, and first-year ROI – that’s what Loyale Healthcare’s Patient Financial Manager delivers. PFM is the industry’s most robust patient financial engagement platform. Built from the ground up for virtually limitless interoperability in any healthcare setting, Loyale’s suite of fully integrated solutions applies predictive analytics, intelligent workflows, automated administration, and the industry’s most engaging patient self-service experience. Loyale is offering free Patient Revenue Cycle assessments to providers who are interested in implementing their own patient financial engagement initiatives. Make an appointment or stop by our booth to pick up a free cell phone wallet and set up your assessment. Healthcare providers interested in improving patient collections, reducing costs, and driving higher patient satisfaction are invited to contact Shirley Straka at ShirleyStraka@loyale.us. Partners in healthcare finance, revenue cycle solutions, and revenue cycle services who are looking to expand their product portfolio, reduce operating costs, and grow their top and bottom lines should contact Channel Strategy EVP Grattan Smith at Grattan@loyale.us. MedData offers a single platform to increase hospital revenue, patient satisfaction, and compliance while decreasing the number of vendor interactions. Our technology-enabled solution combined with our proven expertise enhances the patient financial experience so hospitals can focus on the clinical experience. 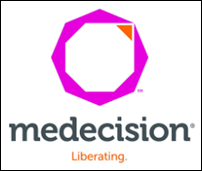 Leading health plans and risk-bearing providers depend on Medecision’s cloud-based Aerial platform to deliver personalized, predictive and prescriptive decision support for their clinicians, physicians, consumers and their caregivers. Our next-generation care management applications leverage powerful insights and interoperability to connect and inform consumers and their care teams. The Aerial platform is generations ahead of EHR and traditional care management systems incorporating workflow-embedded analytics, evidence-based medical protocols, prescriptive care plans, and a comprehensive EHR – all in a single view for care managers, consumers, and their extended care team. Visit Medecision at HIMSS booth 4629 as we showcase how our clients use our innovative and powerful Aerial solution to modernize their care management programs and realize significant operational efficiencies and cost savings. See for yourself how Aerial simplifies care management by delivering advanced analytics, smart utilization management, mobile care planning, summarized member data sharing, and tools that drive real engagement. Come and talk with us at booth 4629 and make the future of care management your reality! And, while you’re there, enter to win one of the many Amazon Echoes that we will give away. We’re liberating healthcare one cool app at a time! Learn more at www.medecision.com. For over 30 years, more than 1,000 healthcare facilities have partnered with Medhost and enhanced their patient care and operational excellence with our fully integrated clinical and financial solutions. Our Enterprise EHR solution can also be hosted and managed by our highly qualified IT teams. Medhost solutions can help you be even more efficient in what you do best — providing excellent care to your patients. Our solutions, supported by market-leading support and implementation, include a fully integrated EHR, enterprise clinical and financial system, emergency department information system, IT hosting and management solutions, and consumer engagement platform. Come to the Medhost’s booth, 2514, for a custom playing card deck and to speak with an expert to discover why over 1,000 healthcare facilities have the perfect hand with Medhost, and how to be a part of that winning team. Also, let’s chat in the Medhost’s Live Podcast Lounge. Stop by our live podcast lounge in booth 2514 for a quick 20 minute guided interview about the trends and challenges in healthcare IT. Space is limited, so sign up now! Leveraging 20 years of experience aggregating clinical data, Medicity is ushering in the next generation of interoperability. Medicity transforms data into a single, comprehensive clinical document, which streamlines clinical workflows. Providers now have usable clinical intelligence at the right time and place to provide the best care; organizations can create a consolidated data asset required for population health and care quality initiatives. By aggregating and normalizing multiple, diverse data streams, Medicity enables analytic interoperability and creates a valuable strategic asset for the entire community. As the industry unites in the pursuit of integrated, actionable data, Medicity is uniquely qualified to unlock the benefits of Interoperability 2.0, which include providing one-click access to a de-duplicated, comprehensive clinical document; optimizing decision-making at the point of care; revolutionizing provider workflow to improve outcomes and reduce costs; and aggregating and sharing meaningful data for population health. Medicity will be raffling off two iPhone Xs for eligible attendees who demo Interoperability 2.0. Medicomp’s Quippe Clinical Solutions resolve clinicians’ toughest challenges through intelligent interoperability, seamless MACRA compliance and increasing provider productivity. To learn more, visit the Medicomp booth, 3616, to play our Quippe Virtual Experience game. The Quippe Virtual Experience is a real-world EHR exercise that gives attendees the chance to think and work like a physician using Medicomp solutions. Plus, we’re giving away $100 every 30 minutes to a lucky winner. Learn more at www.medicomp.com. The next digital transformation of healthcare is underway, and Meditech is leading the charge with the only full-scale EHR designed specifically for the post-Meaningful Use era. As a leading EHR vendor for over 45 years, Meditech’s solutions have empowered over 2,350 customers across 22 different countries to provide higher quality care, with greater efficiency, to more people, at a lower cost. Today, our cutting-edge solutions are helping organizations to see healthcare through a new lens and navigate this virtual landscape with unparalleled vision and clarity. Whether your destination is clinical efficiency, analytical prowess, or financial success, Meditech’s bold innovation, passion, and expertise will get you where you want to go. Visit booth 1360 to learn more about the first full-scale Web-based EHR designed for the post-Meaningful Use era. Initiatives like MaaS, population health, and patient engagement will be front and center. Hear from peers who have gone all-in with Meditech. Physicians, nurses, and healthcare executives are here to share their story. In addition, Meditech will offer a number of demos in our booth focused on population health, care coordination, managing sepsis, physician experience, revenue cycle, patient experience, and more. Don’t forget to check us out at the HIMSS Interoperability Showcase, as we participate in the Nationwide Care Transitions use case with Commonwell Health Alliance. Stop by booth 11955 and discover how Meditech not only advocates for interoperability, but also practices it every day. For more information, visit our HIMSS18 event page. Stop by booth 1360 for our Executive Booklet and Meditech freebies. Mobile Heartbeat will demonstrate the latest version of the MH-CURE Unified Clinical Communications and Collaboration Platform at HIMSS18 in booth 2461. MH-CURE is a secure clinical communications and collaboration platform enabling unified communications and improved patient-specific workflows featuring a real-time clinical team directory connecting all members of a patient’s care team. New features announced in the latest version of MH-CURE will be showcased, including advanced application integration configuration, video chat, text-to-speech, and lock screen viewing of notifications received via broadcasts and other systems, as well as other features optimizing clinical workflows and benefiting the healthcare enterprise. Mobile Heartbeat customer Rosemary Ventura, CNIO at New York-Presbyterian Hospital, will provide a user’s perspective on MH-CURE at the HIMSS Digital and Personal Connected Health Forum March 5 at the Wynn Las Vegas. Ventura’s session, scheduled for 10:40 am, is entitled, "Go Mobile and Modernize Clinical Communication and Collaboration," and will present a case study on NYP’s enterprise-wide roll out of MH-CURE to 11,000 users. National Decision Support Co. is the leading provider of enterprise-wide clinical decision support solutions worldwide. The company’s CareSelect Platform simplifies the delivery of point-of-order clinical guidance. Seamless EHR integrations combine with Appropriate Use Criteria (AUC) from standard-bearing medical specialty societies to provide comprehensive coverage for imaging, lab, blood management, and pharmacy. National Decision Support Co. enables stakeholders in the healthcare process to deliver more efficient and appropriate care, improve population health, and save money. Variations and gaps in care delivery cost providers and patients billions of dollars annually and result in life-threatening medical errors. NDSC’s CareSelect decision support platform enables the transition to value-based care and payment models and risk-sharing payment models while reducing inconsistencies in patient care. Netsmart is connecting the MISSING PIECES of healthcare – addiction treatment, behavioral health, home care, and senior living. Stop by booth 1917 to learn more and enter to win a Canary View. Nordic is a consulting firm that helps healthcare organizations improve the health of their patients and business through EHR expertise, strategy, and managed services. Nordic offers advisory services, Epic implementation, optimization, population health, data and analytics, managed services, revenue cycle, and affiliate extensions. In 2017, KLAS rated Nordic as the only firm to be a top performer in both Clinical and Revenue Cycle Optimization. In 2016, KLAS rated Nordic a top performer in Epic IT Advisory Services, Comprehensive Healthcare IT Advisory Services, and Optimization Services. Nuance provides a more natural and insightful approach to clinical documentation, freeing clinicians to spend more time caring for patients. Nuance healthcare solutions capture and communicate more than 300 million patient stories each year helping more than 500,000 clinicians in 10,000 healthcare organizations globally. Nuance’s award-winning clinical speech recognition, medical transcription, CDI, coding, quality, and medical imaging solutions provide a more complete and accurate view of patient care, which drives meaningful clinical and financial outcomes. For more information, visit www.nuance.com/healthcare or call 1-877-805-5902. Connect with us through the healthcare blog, What’s next, Twitter, and Facebook. To arrange a meeting at the show, contact Kristen Ayers. NVoq provides a HIPAA-compliant, cloud-based speech recognition and workflow automation platform for healthcare. NVoq’s SayIt dictation solution converts speech to text in seconds, while its powerful Shortcuts make short work of template reports through voice or touch. SayIt is available as a standalone client application that works seamlessly with any EHR or clinical documentation system, without the need for integration. SayIt works on either a PC or a Mac, and includes a free wireless mic application. Save 25 percent or more charting time daily while minimizing errors. SayIt gives you productivity that’s off the charts! Contact us today to find out more. To arrange a meeting at the show, contact Dean Braun. OmniSys is a technology company that helps pharmacies drive profitable growth through unique insights derived from our market share and the ability to build valuable workflow solutions. With over 25 years of domain expertise, OmniSys is the market leader in medical, immunization and DME claim billing, patient communication and adherence, as well as consumer engagement workflow. We are integrated into the pharmacy management systems of more than 25,000 pharmacies and provide connectivity to more than 200 medical payers. OmniSys core SaaS platforms are designed to help pharmacies engage patients, compete on value, and distinguish their brands. Visit the Optimum Healthcare IT booth to learn how we develop true business partnerships with our high-touch, customer-service focus. We would love to talk with you about your healthcare IT needs and how one of our nine mature service lines can assist you in meeting those needs. Be sure to inquire how you can register for our raffles when you are in the booth. Click here to schedule a meeting in our booth with one our subject matter experts. To arrange a meeting at the show, contact Phil Sobol (phil.sobol@parallontechnology.com) or Taylor White (taylor.white@parallontechnology.com). Parallon Technology Solutions provides EHR implementations, IT help desk, application support, IT managed services, hosting, technical staffing, and strategic IT consulting services to hospitals, outpatient facilities, and large physician groups nationwide. With a team of over 400 clinical, financial, and technical professionals, PTS has implemented EHR systems in more than 300 facilities. PTS offers staffing and remote support services for all major EHR acute and ambulatory platforms, as well as their ancillary applications. To arrange a meeting at the show, contact Josh Byrd. Patientco is reimagining the patient financial experience by bringing health-specific payment infrastructure together with consumer-focused tools backed by industrial-strength analytics to create a superior payment experience that predictably yields more dollars. At HIMSS18, PatientKeeper will showcase its applications that deliver the next-generation physician experience. With an intuitive interface tailored to physician specialties and patient situations, PatientKeeper removes the obstacles that have hindered EHR usability and transforms the computer into an indispensable tool for care delivery. Available as a comprehensive suite or as targeted workflow solutions, PatientKeeper delivers a single electronic environment that streamlines workflow — enabling physicians to maximize time with patients and access actionable information wherever they are, whenever they need to. And PatientKeeper works with existing transactional and clinical information systems, enabling provider organizations to preserve current IT investments and avoid costly, time-consuming, and highly disruptive EHR replacement projects. Visit PatientKeeper at booth 4616 to enter for a chance to win a Concept2 Model E indoor rower. To arrange a meeting at the show, contact Brian Manning. PatientPing is a health technology company that is building a national community of engaged providers who are sharing information, coordinating care, and working together to get patients healthier faster. Through Pings, real-time notifications, and Stories, critical patient data accessed at the point of care, PatientPing connects disparate providers who share patients across the entire continuum. PatientPing’s national care coordination community includes physicians, nurses, case managers, and care coordinators across hospitals, emergency departments, ACOs, physician practices, skilled nursing facilities, home health agencies, inpatient rehabilitation centers, payers, and other healthcare providers. By connecting care teams through real-time information sharing, PatientPing enables providers to deliver higher quality and more cost-effective care, ultimately improving patient outcomes and experiences. Visit www.patientping.com to learn more. PatientTouch unifies clinical communication and workflow in on app on one smartphone device. It’s the only platform that provides a unified inbox for quick message triage and response. One inbox prioritizes all texts, voice calls, critical results, alerts, and pages. Reminders, notifications, and acknowledgements too. Deeply integrated with your EHR and clinical systems, PatientTouch provides one-touch access to up-to-date clinical and patient information for more efficient, safer decision making. And you can access the entire care team – on call, assigned care team members, and providers across your health system network. Join us in booth 229. Experience our new physician communication features. Pick up your copy of our new HIMSS Analytics study on “The State of Clinical Communication and Workflow” to find out how your peer organizations are managing their clinical mobility journey. Get a free clinical communications assessment and roadmap to improving care collaboration efficiency. View a demo and be entered to win an Apple Watch 3 or an iPad Pro – drawings daily! Stop by PerfectServe for a candy pick-me-up and device PopSocket. To arrange a meeting at the show, contact sales@pmd.com or 800.587.4989, Ext. 2. PMD gives doctors and staff powerful, intuitive mobile software that improves patient care. With PMD’s mobile communication and data capture platform, healthcare teams finally have an elegant and simple technology to maximize efficiency and collaboration. PMD provides free interfaces with most major EHRs, hospital information, and medical billing systems. The PMD team is committed to developing the best solution and providing superior customer service. For more information, contact PMD. PokitDok’s platform-as-a-service enables hospitals, digital health, and telehealth companies to quickly build modern commerce experiences across the healthcare value chain. Its modular marketplace platform includes benefits verification, claims submission, appointment scheduling, and RCM. DokChain, an evolution of PokitDok’s platform utilizing distributed technologies such as blockchain, enables the patient experiences, business models, and security that healthcare deserves. To arrange a meeting at the show, contact Miranda Hahn. The Qventus mission is to simplify how healthcare operates so that hospitals and caregivers can focus on providing the best possible care to patients. The company offers an AI-based software platform that helps hospital teams make better operational decisions in real-time, making sense out of the terabytes of data they generate every day. Qventus addresses operational challenges across the hospital including emergency departments, perioperative areas, patient safety, inpatient, and outpatient. Visit the Qventus kiosk in the Innovations Live Pavilion to learn how hospitals across the country are extracting real-time insights from existing data sources. And, enter to win a FItBit Ionic watch. Come see if you can navigate our mountain bike obstacle course, and enter to win a new, full-suspension bike. While you’re here, learn how you can use Reaction for all your customer, market, and employee research needs. Come by one of our booths or schedule a meeting ahead of time here. You’ll definitely want to visit Redox’s booth (1275) this year. Beyond talking integration and getting some sweet swag, enter a raffle to win a 5lb bag of gummy bears or Wisconsin Cheese Basket. Find all things Redox HIMSS18 here. Redox Party! Softek is your Cerner expert, whether you’re a longtime Cerner user or just implementing the EHR. Softek delivers a full suite of software and consulting services to assess and optimize EHR performance and revenue integrity at Cerner hospitals. We provide independent, objective measurement of the issues others miss or can’t even detect. Only Softek offers Panther technology for visibility into the source of performance and charging issues, plus easy access to patient accounting data; and consultants who have specialized in Cerner’s unique architecture since 2000. We will give a $25 Amazon gift card to any Cerner client just for stopping by our booth. We know you’re on a quest to deliver the highest standards of care. To do so, your communication technology needs to integrate with existing workflows in your hospital and enable you to deliver information to clinicians who need to take action. Stop by the Spok booth, 7607, to see a demo of Spok Care Connect, the industry’s most comprehensive suite of enterprise critical communication solutions; hear the latest enhancements to Spok Care Connect, including more robust EHR and real-time location system integrations; and scan your badge to enter our daily drawing for an Apple Watch 3! Stanson Health helps clinicians align to health system strategy. We create and integrate sophisticated, real-time clinical decision support, and provide rich analytics to guide and influence clinician behavior. During HIMSS 2018, Stanson will unveil its digital prior authorization solution. Strata #1 Ranked in KLAS financial analytics and performance platform, StrataJazz, marries clinical, operational, and financial data to deliver accurate and actionable cost data across the entire continuum of care. With an advanced cost accounting engine that integrates with EDW, ERP, and EHR solutions including Epic, you can see what is driving up costs at a patient, service, and entity level. As a result, you can determine where to focus your energy to improve margins and quality. We wrote the book on cost … and you get a free copy! Strata just released the second edition of Margin + Mission: A Prescription for Curing Healthcare’s Cost Crisis, which was​ published in hopes to fuel a conversation and drive action to make a meaningful difference in bending the cost curve. Click here to learn more. The first 50 get a free book! Sunquest Information Systems, booth 1326, provides enterprise laboratory information solutions for clinical, anatomic, and molecular pathology, enabling interoperability for world-class labs, including multi-site, multi-disciplinary support for complex anatomic, molecular, and genetic testing. Since 1979, Sunquest has helped over 1,700 labs and healthcare organizations across the world enhance efficiency, patient care, and financial results. For more information, go to www.sunquestinfo.com. Since 2001, Surescripts has led the movement to turn data into actionable intelligence, and convened its network allies to enhance e-prescribing, inform care decisions, and advance the healthcare industry. Come see us at HIMSS in booth 632, or visit us at www.surescripts.com. To arrange a meeting at the show, contact healthcare@sutherlandglobal.com. Headquartered in Clifton, NJ, Sutherland Healthcare is a leading provider of process transformation solutions to the entire healthcare ecosystem. Sutherland brings a different approach to the healthcare industry by leveraging digital and design thinking methodologies to understand every aspect of a client’s unique situation to transform the services, tools, and experiences of their patients and employees. Our process transformation solutions bring a new way of thinking while delivering traditional services that adapt to the consistently changing expectations of customers in the digital era. To arrange a meeting at the show, contact Sheetal Shah. We think today’s world of CRM in healthcare has been dismal for health systems. Cost over-runs, weak industry flavor that doesn’t match workflow, little value for patients or providers. If the goal is to drive patient acquisition and retention, provider loyalty, and make it financially viable, we’d love to demo our HealthOS as it combines CRM and analytics, and is delivered as a flat monthly subscription (already live and supporting over 4M patient lives). Give us a ring or catch us on stage as we compete for most disruptive startup at HIMSSVentureConnect – our journey to make health systems less reactive, and more proactive with their consumers. To arrange a meeting, contact Roger Davis. T-System is a healthcare IT company that advances care delivery and financial outcomes for episodic care. Specializing in emergency department documentation since 1996, T-System has since expanded its focus to include the development of innovative solutions for the rapidly expanding episode-based care market, including hospital-based emergency departments, freestanding emergency centers, and urgent care centers. Today, our company continues to innovate by leveraging a strong team of industry experts who lead our clinically-driven services and documentation solutions, as well as charge capture and coding solutions that serve 40 percent of the nation’s hospital-based emergency departments, freestanding emergency centers, and urgent care centers. It’s time to RETHINK the status quo of health system operations. Versus, a member of the Midmark family, uses both precise and WiFi real-time locating system technology to effectively manage mobile assets, enhance safety, and improve patient flow. Let our lean workflow consulting, implementation services, and industry-leading location accuracy help you improve the delivery of quality care and enhance the patient experience. We combine location data with powerful workflow intelligence to drive efficiency in the moment while automatically documenting key performance indicators – helping you measure and manage your operations. Visit the Versus-Midmark booth, 5850, for live demonstrations featuring a fully operational Versus patient flow and asset tracking system. Want to know more? Don’t miss the following sessions by clients who have experienced first-hand some of the benefits. Real ROI: Using RTLS to Improve Pump Utilization & Save $1M Presenter: Dave Dickey Tuesday, March 6 from 4-5pm in Galileo 901. Use of RTLS to Support a Model of Patient Centered Care Presenter: Kevin Hoover, MD on Thursday, March 8 from 4-5pm in Galileo 901. Check us out at HIMSS18 to see how Voalte Platform connects care teams inside and outside the hospital, integrates with the EHR, and makes it easy for health IT professionals to deploy HIPAA-compliant smartphones. Our booth isn’t the only place at HIMSS where you’ll hear about how Voalte Platform is improving care team communication and collaboration. Voalte will be highlighted at the Avera Health Lightning Session Wednesday, March 7 at 5 pm, where Candice Friestad, RN, director of clinical informatics at Avera Health, will discuss how the health system integrated its communication platform with nurse call, patient monitoring, EHR and ADT data to give care teams access to up-to-date patient information. We also encourage you to attend an education session Thursday, March 8 at 10 am presented by James Jones, VP of patient care services and nursing operations at UW Medicine’s Valley Medical Center. He will discuss how they improved patient outcomes after moving to a smartphone-based platform for clinical communication and alarm and alert notification. Voalte also will be featured in the HIMSS Interoperability Showcase in the Labor and Delivery use case, which demonstrates the need for strong care coordination and communication when managing high-risk pregnancies. Visit the showcase to witness the impact of collaborative systems on clinical outcomes, quality, and the patient experience. The mission of Vocera Communications is to simplify and improve the lives of healthcare professionals and patients, while enabling hospitals to enhance quality of care and operational efficiency. More than 1,400 hospitals and health systems around the world have selected Vocera solutions for care teams to text securely using smartphones or make calls with our hands-free, wearable Vocera Badge. Interoperability between Vocera and more than 120 clinical systems helps reduce alarm fatigue; speed up staff response times; and improve patient care, safety, and experience. HIMSS18 attendees are invited to visit the Vocera booth, 2824, to get a sneak peek at the latest version of the Vocera Collaboration Suite mobile application, which enables real-time situational awareness. Learn more at www.vocera.com, and follow @VoceraComm on Twitter. Waystar simplifies and unifies the healthcare revenue cycle with innovative technology that allows clients to collect more with less cost and less stress, so they can focus on their goals, patients, and communities. The combination of Navicure and ZirMed uniquely positions Waystar to provide an end-to-end, cloud-based revenue cycle technology platform across all care settings – empowering healthcare organizations to improve the overall financial health of their business by preventing problems, streamlining processes, and removing friction in the revenue cycle process. In addition to enjoying in-booth snacks each afternoon during HIMSS, join Waystar in booth 1665 for you opportunity to win a stress-less weekend at The Meritage Resort & Spa. Waystar will also be hosting an invite-only Premier Party Wednesday, March 7. Request your invitation at marketing@navicure.com. To arrange a meeting at the show, contact Shawn McKee. With 30-percent market share, WebPT is the leading rehab therapy platform for enhancing patient care and fueling business growth. Offering scheduling, documentation, billing, outcomes tracking, business reporting, patient engagement tools, and system integrations, WebPT’s robust, Web-based solution is ideal for every outpatient setting — regardless of staff size, facility type, or the number of specialties. WebPT has a 99-percent retention rate and a 99.99-percent uptime rate, making it the most trusted and reliable platform in the industry. Launched in 2008 and headquartered in Phoenix, AZ, the company has ranked on the Inc. 5000 list of America’s fastest-growing companies five years in a row. Let’s meet at HIMSS to discuss ways to improve revenue and enhance patient care within your outpatient rehab therapy business. You can also visit webpt.com to learn about our company, products, and services. Stop by booth 3232 to see how Wolters Kluwer Health is tackling variability in healthcare by helping you efficiently deliver the best outcomes and provide the best care for patients. Our trusted clinical technology and evidence-based solutions engage clinicians, patients, researchers, and the next generation of healthcare through advanced clinical decision support, learning, and research and clinical intelligence. Every day around the world, more than 2.5 million clinicians use our trusted solutions, such as Lippincott, Ovid, UpToDate, Medi-Span, Health Language, Sentri 7, and Emmi. Learn more here: Leadership panel at the Patient Engagement & Experience Summit, Monday, March 5; Educational session by Tom Stafford, CIO of Halifax Health, “Transforming IT: The Journey to Clinical Innovation,” Thursday, March 8. In booth 3232, explore UpToDate Advanced and next-generation advanced clinical decision support, AI, and sepsis surveillance with Point of Care Advisor, interoperability and harmonizing data and terminologies with Health Language, and how compounding pharmacies are tackling compliance using Simplifi 797. Visit healthclarity.wolterskluwer.com. To arrange a meeting at the show, contact Karen Tirozzi. For anyone looking to ease to the process of prescribing specialty medications, please reach out to KT, who will be attending HIMSS and actively engaged in customer and partnership opportunities. Have a great conference!